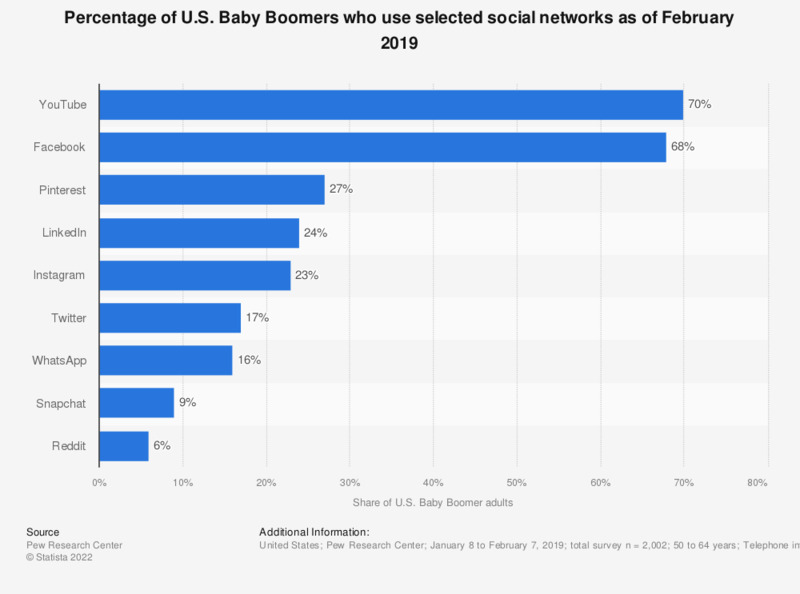 This statistic shows the share of Baby Boomer internet users in the United States who were using selected social networks as of January 2018. During that period of time, 21 percent of U.S. adults aged between 50 and 64 years used the photo sharing app Instagram. Statistics on "Mobile social media usage in the United States"